Got them small-town Danish blues. 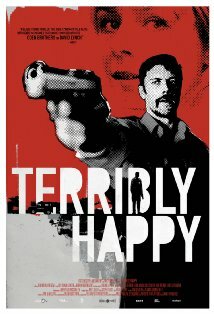 For your consideration: Terribly Happy, a terribly-titled Danish film released in the U.S. earlier this year. It’s about a disgraced lawman sent to the purgatory of a bleak little town, where he finds all the things we expect in American film noir: a temptress, dark motives and homicide. And of course a creepy little girl pushing a baby stroller. In theme and tone it reminds me a lot of the Coen brothers’ first hit, Blood Simple. It even opens with a voiceover that evokes M. Emmett Walsh, setting the mood for the grim little tale to come. And the bleak expanse of the Danish lowlands is not that far removed from the Texas prairie. 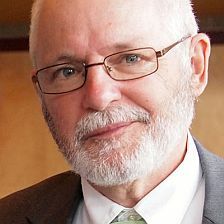 The new town marshall, Robert, arrives in Skarrild with a troubled past that has left him just barely in possession of his faculties and his job. He’s determined to make a new start. But he discovers that people sometimes vanish in this miserable little burg, and those who don’t aren’t much interested in redemption. When the abused wife of the town bully lets it be known that she’s, um, available, the plot thickens. Terribly Happy plays out with a few dashes of humor here and there, although I wouldn’t call it a comedy as some have. It is a worthy addition to the genre of neo-noir, and if you don’t mind subtitles, I’d put this one at the top of the Netflix queue.